Please read through the questions below to see if they provide the answer you're looking for. Don't see the solution you're looking for? Reach out to us directly by sending an email to info@impacttc.org. We're happy to help! Most women we know always give 110% in all they do. 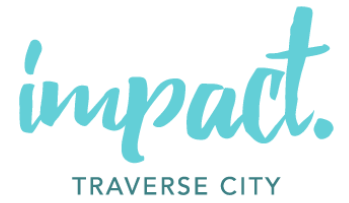 Joining Impact 100 Traverse City at 110% allows $100 to go towards various general operating expenses, including keeping the grant application process free of charge to submitting non-profits. Your entire $1,000 membership will go towards a deserving non-profit through a democratic vote process at the annual grant award ceremony. What if I don’t have $1,000? Can I combine friends? Yes! That’s the power of women coming together! Please be aware ONE person will have the responsibility to submit ONE check for membership and provide ONE contact address. This information is used for Impact 100 Traverse City to send the finalist packets and invitation to the annual event. Please note at the annual grant award ceremony your group will have ONE vote cast by the member of record. ONE membership = ONE vote. Each person is limited to one vote per person per year. You can prepay your membership for subsequent years. Feeling generous? You can sponsor others to join Impact 100 Traverse City. Can I volunteer my time to review grant applications on the grant committee and not be a member? Volunteers are required to be an Impact 100 member to serve on any board committee. Thank you for your consideration! Ready to become a member and make a huge IMPACT in your community? We'd love to have you as a part of 2019's Impact 100 team!